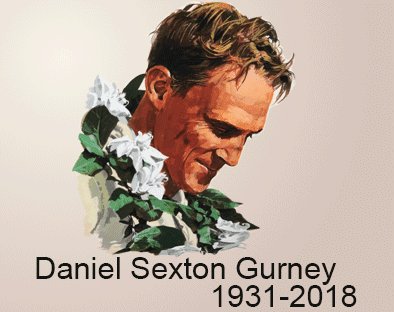 The NMS team would like to salute one of the pioneers of American racing who unfortunately passed away last week, Dan Gurney. If you're not familiar with him, we suggest you do some on line research, because we can't do justice to the many things that he achieved during his lifetime. More than the accomplishments, I think Dan was influential because he did things his own way, and not only won races, but make a mark on the sport both in and out of the cockpit.